​Barcelona are lining up a fresh attempt at signing Chelsea star Willian, having missed out on a deal to sign the Brazilian last summer. The La Liga champions saw a £55m bid rejected by Chelsea less than a year ago, before a second attempt in which they offered Malcom plus a fee was also rebuffed by the Blues in January - just six months after the winger had arrived from Bordeaux instead of Willian. However, the ​Chelsea forward will have just one year left to run on his contract at Stamford Bridge in the summer and, according to the ​Telegraph, ​Barcelona are considering yet another move for their long-term target - this time in a cut-price deal. The Brazilian's contract situation could play into the Blaugrana's hands in attempting to do business with their Premier League counterparts at a lower price, though Chelsea's impending transfer ban could complicate any potential negotiations. Maurizio Sarri's side are set to be banned from signing new players in each of the next two transfer windows, meaning that they would be unable to replace any players that they sell. With talisman ​Eden Hazard appearing increasingly likely to complete a big-money switch to ​Real Madrid and rising star Callum Hudson-Odoi also having just one year left on his contract in west London, Chelsea would likely be reluctant to entertain losing Willian. The Blues are appealing against FIFA's ban but, even if they were able to reduce the sanction in any way, they would still face a real battle in preventing a potential exodus of key players in the summer. 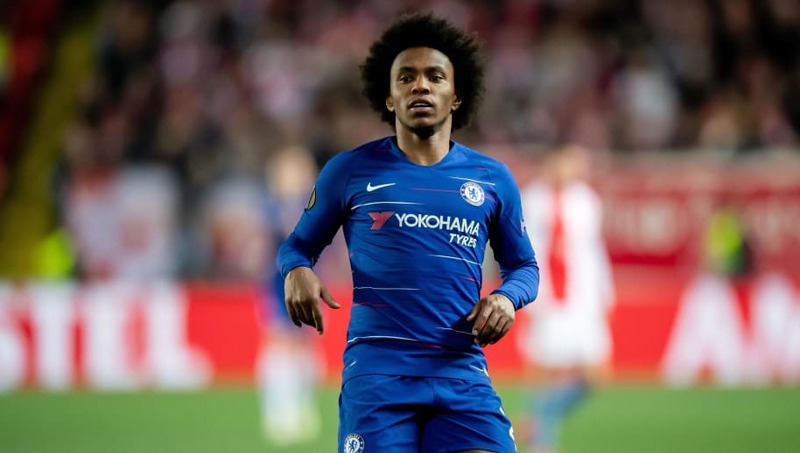 There has been little suggestion so far as to whether ​Willian would be willing to extend his contract at Stamford Bridge, in contrast to the bleaker standoffs between the club and both Hazard and Hudson-Odoi in those terms. However, Willian is set to turn 31 in August, and with Chelsea generally operating with a policy which means that they only offer players over 30 12-month contract extensions, it remains to be seen what course of action the Blues will opt to take with the Brazilian. Fellow winger Pedro is also now 31 and entering the closing stages of his current deal, meaning that Chelsea face a real dilemma over whether to abandon their usual strategies and tie Willian to a long-term deal, or cash in on Barcelona's interest and offload another star name. The likely upholding of their transfer ban could see Chelsea given little choice in attempting to hold on to Willian, despite his age, with 30-year-old David Luiz also in a similar contractual situation.